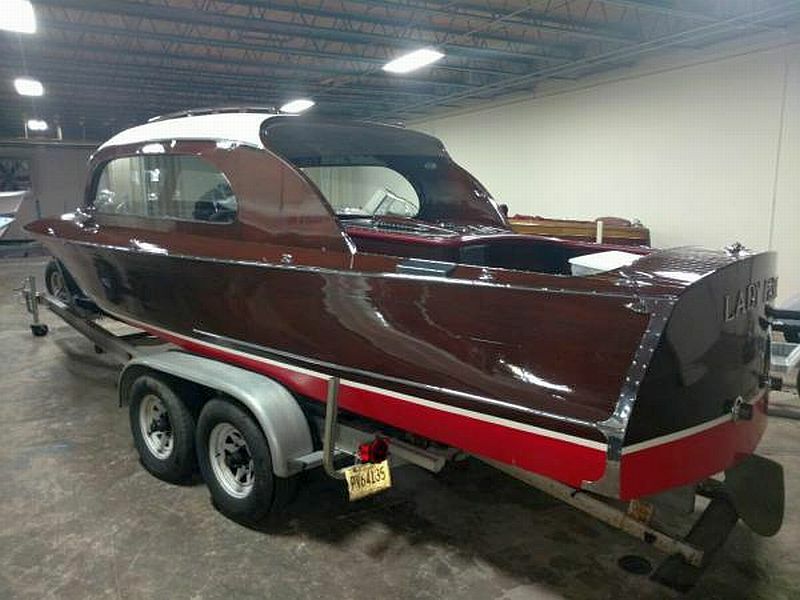 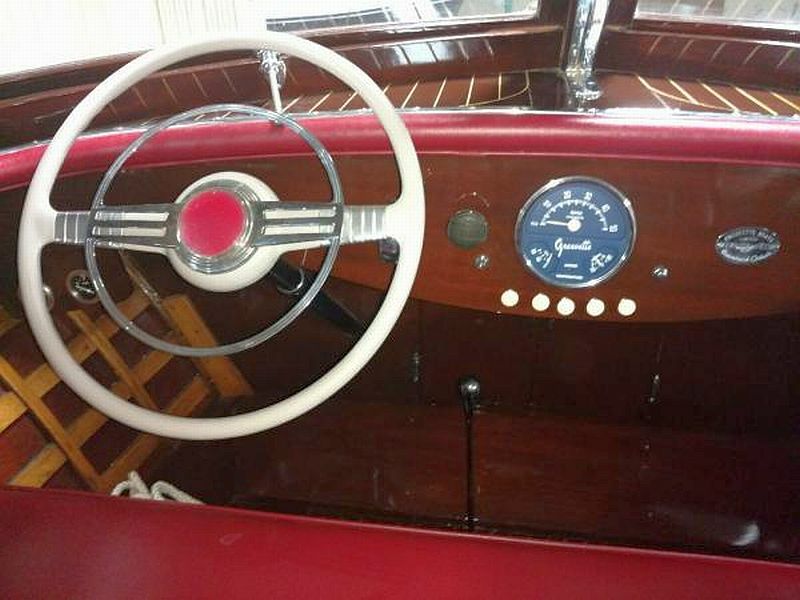 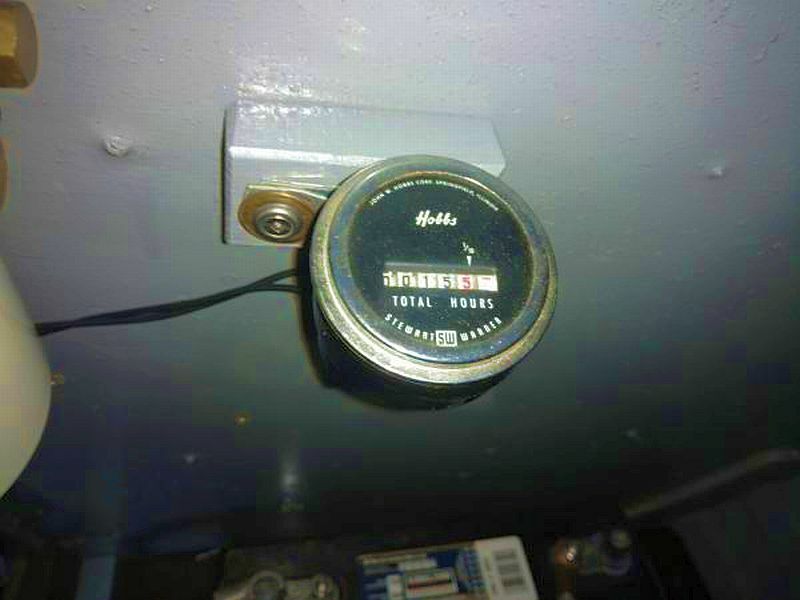 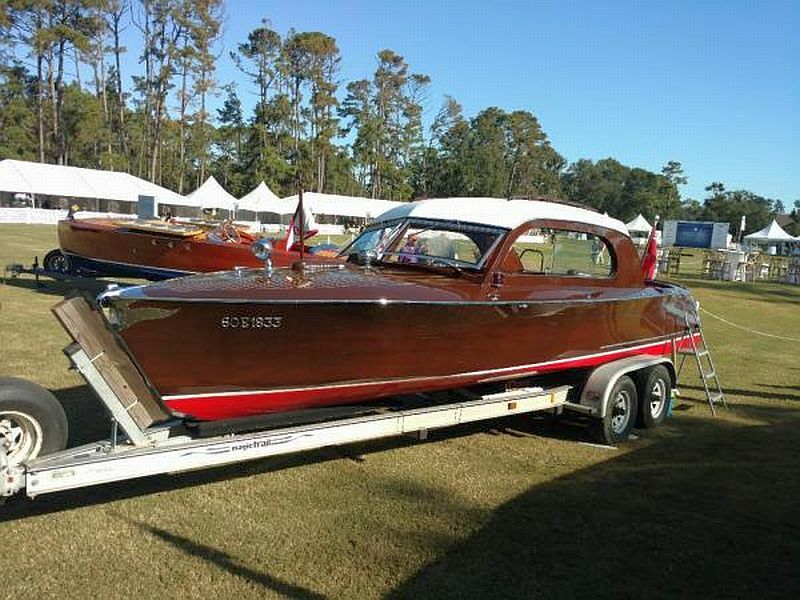 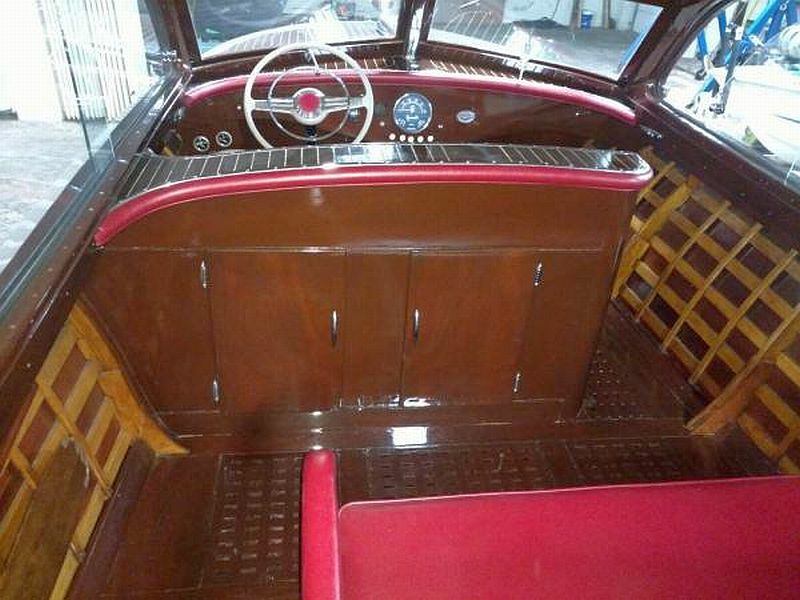 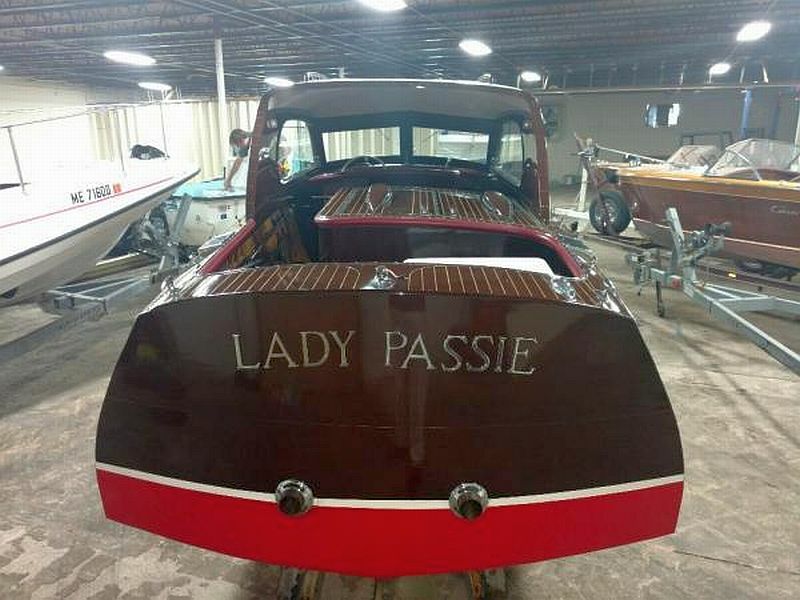 This very rare boat has been completely restored, including a new 5200 bottom. 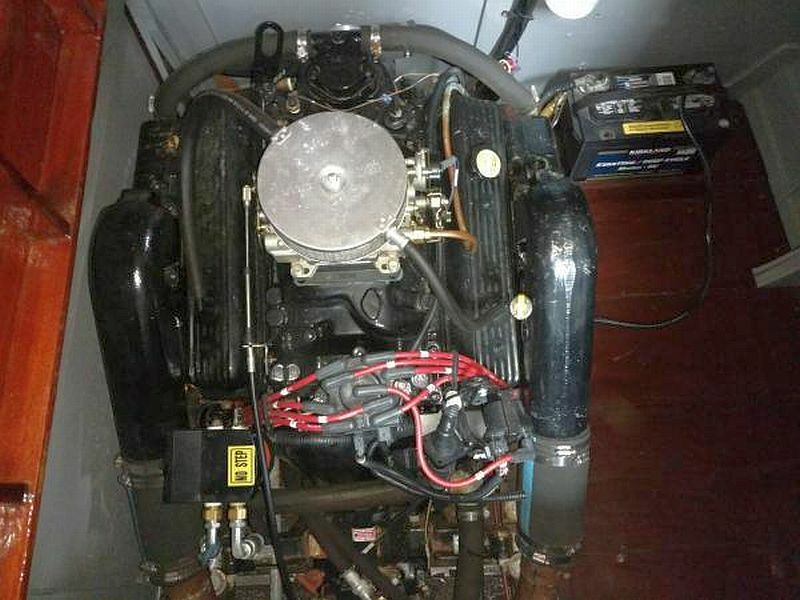 It’s new 350 V8 engine has only about fifteen hours running time. 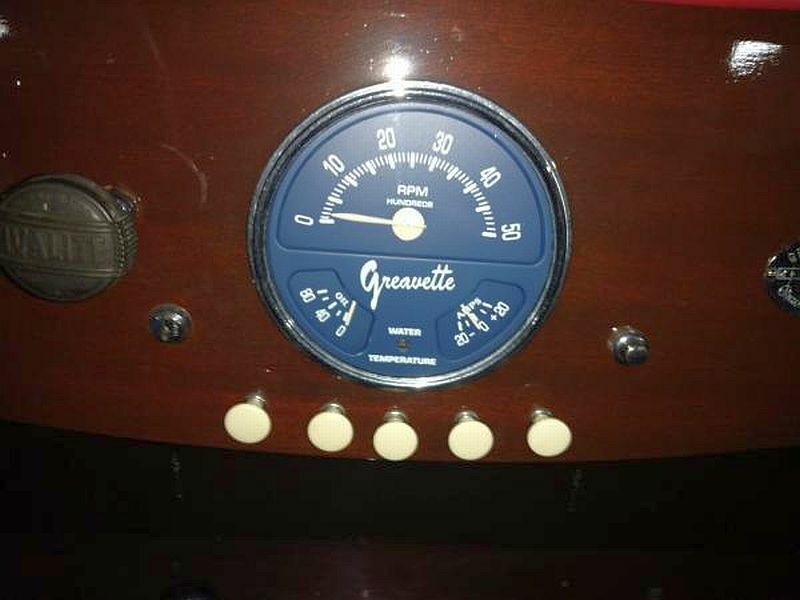 The Greavette, currently lying in South Carolina, is in “virtually new” condition. 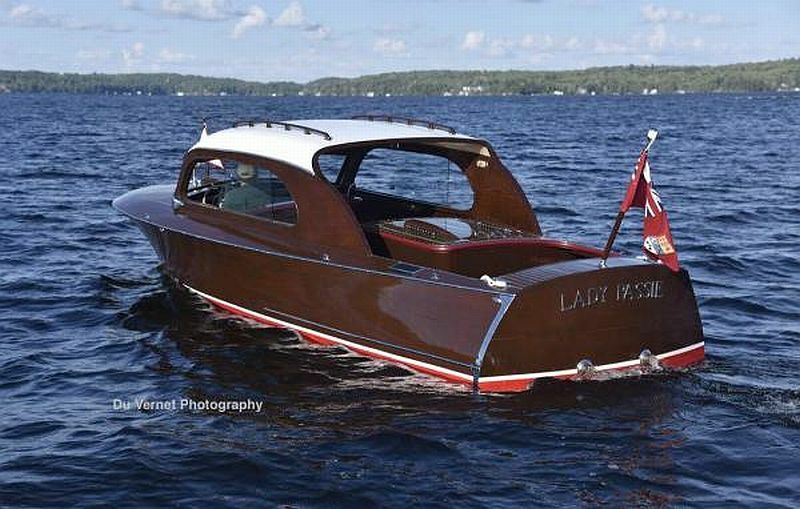 Note from the owner. 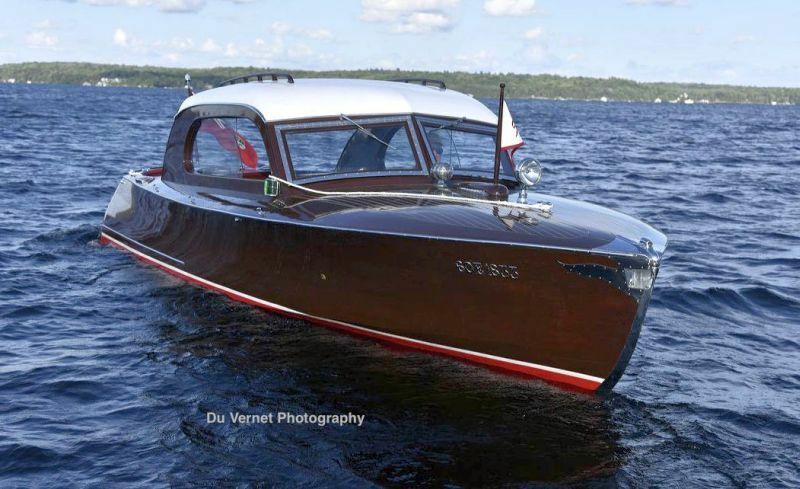 The Greavette has been in water only the last 6 years after the rebuild and mostly done with short excursions and shows. 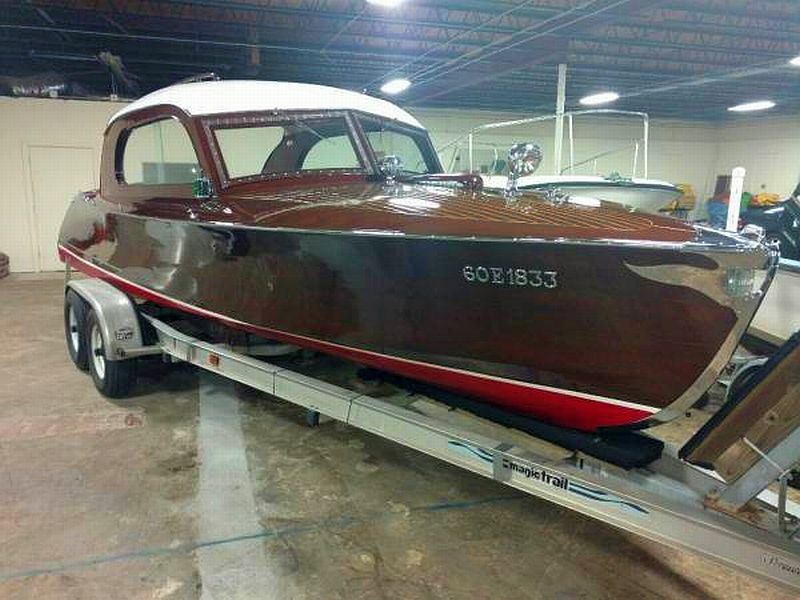 This sedan, unlike most hard-top sedans, has a planing hull which will propel the boat to speeds between 35 and 40 mph. 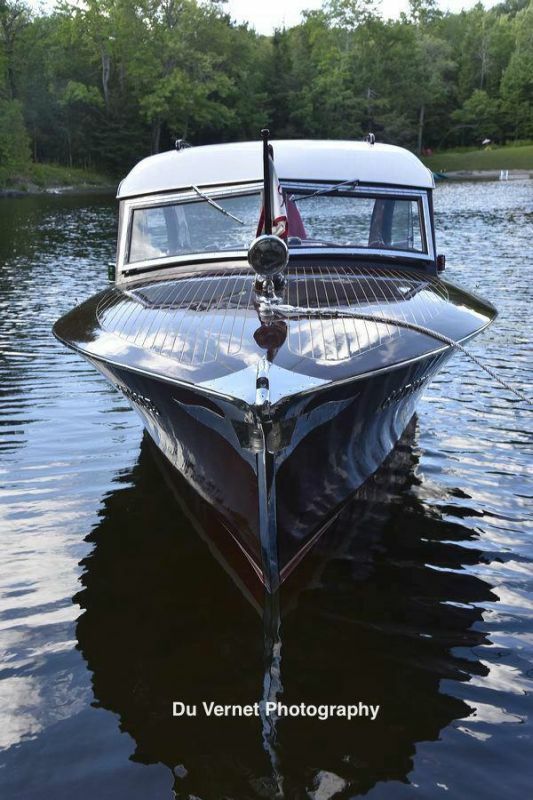 This is a great advantage, especially for longer distance travel or adverse weather conditions.